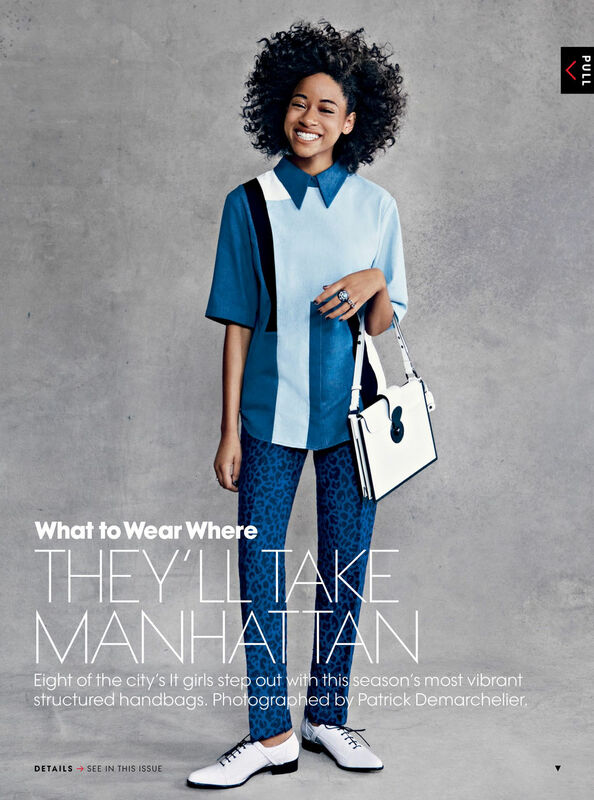 American Vogue's February 2013 issue is chock-a-block full of surprises including this Patrick Demarchelier-lensed editorial featuring some of Manhattan's most fashionable women about town. Among the cast of it girls are Aussie model expats Miranda Kerr and Jessica Hart, industry veteran Hilary Rhoda, the multi-talented Sky Ferreira, singer Kilo Kish, Under Our Sky's Creative Director Sofia Sanchez Barrenechea, and actress/model Clémence Poésy. Demarchelier captures this cast of eclectic women in garments embellished with prints and bold colours to brighten your mood. Every now and then, I love editorials like this which provide the opportunity for fringe models like Jessica Hart to show their true modelling smarts. And who could possibly resist the healthy all-American glow of comeback kid Hilary Rhoda who returns to American Vogue's pages looking radiant and as pristine as ever.